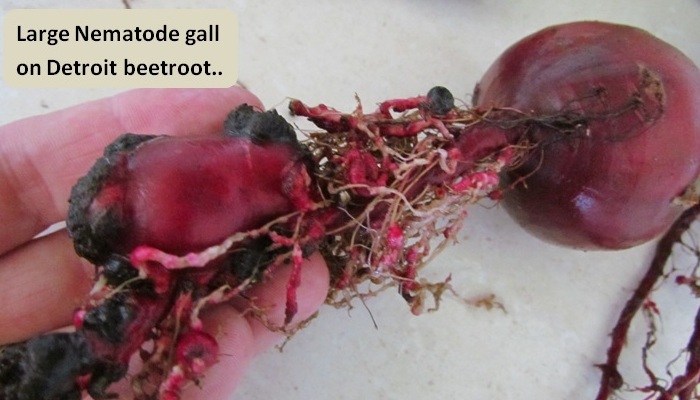 Bits out the Back: Root Knot Nematodes & their control..
Over the past few years we have seen an increased level of root knot nematode infestation in the veggie patch.. 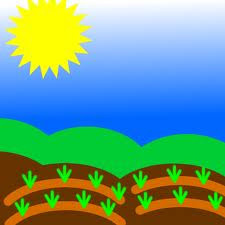 This is due to poor crop rotations, spreading contaminated soil through transplanting & reusing old soil in new beds.. There are some plant varieties, especially in the Fabaceae family that includes peas & beans, have root nodules.. These are caused by a beneficial bacteria, called rhizobia, that form a symbiotic relationship with the plants helping them to fix nitrogen from the atmosphere to the soil..
Root knot nematodes are microscopic parasitic worms that burrow into the roots of your plants.. Once inside the root system the plant cells grow around the parasite creating the telltale galls that can be found on the plants roots.. 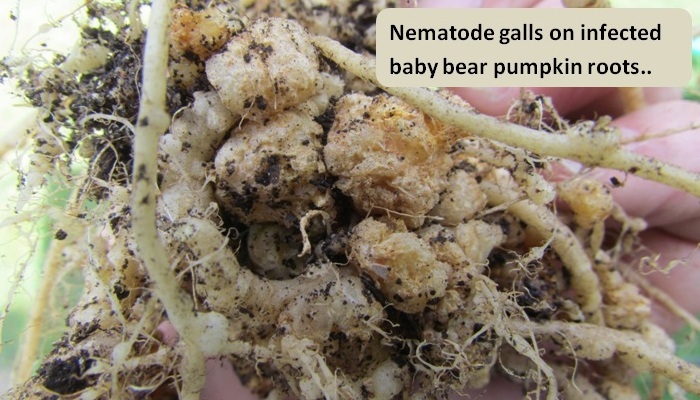 The nematodes continue to feed off the plant robbing it of nutrients, mate then disperse its eggs in the surrounding soil.. I think we are lucky as the wicking beds are a standalone sealed growing system so if we can get on top of them they shouldn’t reoccur, as long as we don’t spread contaminated soils & make more of an effort to clean garden tools between using them in multiple beds..
Detecting them can sometimes be rather difficult & generally it’s too late when you do.. I have found that our plants start off looking healthy but then the growth rates start to slow.. I have noticed that the leaves start to look off colour (yellowing) with fruiting plants, like cucumbers & tomatoes, & they have less fruit set than normal.. I have now learned to gently dig around the roots of the plants I suspect of infection to see if there are any galls present on the roots.. 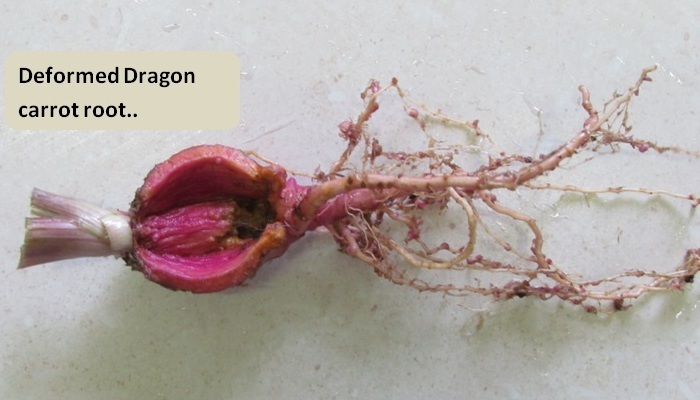 If left undiagnosed & untreated it can lead to the death of the plant.. There are a number of ways to treat these little pests.. The easiest way to try & keep them at bay would be to have a nice rich soil made up of plenty of organic matter that will encourage not only healthy plant growth but also beneficial nematodes into the garden.. These beneficial guys will happily feed on their root knot relatives.. Couple this with good crop rotation of susceptible plant varieties (bean, lettuce, tomato, capsicum/pepper, eggplant, strawberry, cucumber, pumpkin, squash, melons, celery, ginger, beetroot, garlic, sweet potato, potato, carrot) & the risk of infection will be reduced.. Some plants, like marigolds & mustard, release compounds from their roots which affect nematodes.. Companion planting with these plants in garden beds can aid in deterring an attack on your plants however, once the beds are infested it is probably better to plant these as a green manure crop.. One suggestion I have read is to let mustard or marigolds grow until they are about 450mm/1½’ tall then dig it through the soil.. They then start to break down, not only adding beneficial organic matter to the soil but also releasing compounds toxic to the nematodes into the soil.. I have found that the quickest & easiest way to control nematodes is through the use of a molasses water mix recommended by the late, great Colin Campbell from “Gardening Australia”.. We have applied this mix to a few beds/barrels & have been blown away but the way the plants have reacted.. We had an infested wicking barrel that was home to some extremely gnarly looking beetroot as well as a very sad & stunted warrigal greens plant..
Once the beetroot were all removed, 2 cups/500ml of the molasses mixture was poured over the barrel & a okra was planted.. The results were visible I under a week with the warrigal greens pushing out new growth & flowers after a few months of next to no growth what so ever.. The okra has grown into the largest plant we have, unlike its stunted relatives that were planted into beds I have since found to be infested.. Here is Colin Campbell nematode recipe.. Mix well & apply to 1½M/yard² of garden bed.. I have spot watered some capsicum plants in an infected bed & found that they reacted very positively by sending out lush new growth & setting a 2nd, larger round of fruit..
Neem is another control method that has had a long history in India for the use on nematodes, as well as other plant eating insects.. I have tried using a neem oil preparation on a couple of beds in the past but unfortunately it didn’t do the job due to the low concentration rate used.. So I will save posting on that until I have it sorted out & have better results to report.. I have read in a few places on the internet that molasses can have a detrimental effect on soil flora & fauna but I have found the opposite to be the case in our beds.. All the beds treated have rewarded us with healthy, productive plants.. I have no formal horticultural training & don’t consider myself to be an expert, so I encourage everyone to look into it for yourself..
All I can do is share my own observations & the results of trialling different techniques within our own garden.. If your garden is suffering from nematodes, give it a go and let me know what worked best for you..
You can also visit our garden on Face Book & You Tube.. I was told to repeat it every month but no longer use this method. I tried using the mustard greens as green manure & found they worked very well so use this method now. I mass sow the seed then dig them in once I had a carpet of greens about 1 foot high. Once dug through I give the bed a good water to help the composting process & add some mulch over the top to help keep the soil moist. I also like that they help to add more organic matter to the soil. Since using this method I've seen a HUGE reduction in the damage caused by the nematodes on roots of crops when I pull them.